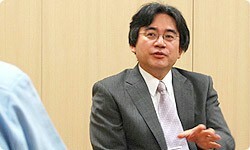 Let's start with how development of the Nintendo DSi began. It was you, Kuwahara-san, who started moving on this, right? Yes. 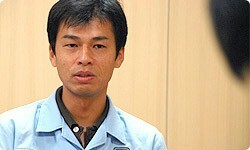 I'm Masato Kuwahara from the Development Engineering Department. It all began when toward the end of 2006 my boss assigned me to work on a new DS and told me to put together a proposal for presentation at the end of December outlining what kind of system we wanted to make. I'll say! And by February of the next year, we would have to hammer out most of the specifications for the internal chip. We had to move at an incredible pace. From planning to determining the specs, we moved from one thing to the next without a pause. It was pretty intense. During that time, was there anything you worried about or focused on? One thing that was difficult was developing the project while keeping in mind how to sell it. What I mean is, it wasn't a completely new piece of hardware, so we couldn't plan on there being several big titles to be simultaneously released with it. Because it's not an entirely new platform. It's the third console in the Nintendo DS line. Exactly. So, to put it simply, we have to be able to sell the console on its own. It also has to be able to meld into the already-existing DS market. That was the source of some frustration for me. I couldn't move forward at full blast, but if I didn't move forward, it wouldn't feel new. It was quite a dilemma. In other words, you would have felt freer if you could have ignored the technological precedents and the existing market for the DS, but since you had to restrict yourself to the DS platform, figuring out how to be innovative within that framework was a big challenge. Despite these restrictions, compared to the DS Lite, the DSi has quite a few new features. Do you remember which one you settled on first? Let's see... The first big one was the cameras. It only made sense to start there, because it would have an effect on how to play and would be an easy change to understand. Originally, the DS's Touch Screen was its sense of touch, and the microphone input was its ears. I remember this time hearing someone suggest early on that we should give the console eyes. It has two - one on the outer shell and one inside when you open it. Could you tell me the reasons or background for that? To explain simply, the outer camera is there so you can take pictures of other objects or persons as you usually would with a digital camera. The inner camera is for taking pictures of yourself while you play. That's why there are two. At first, we thought having two would be a waste - that having one that you could rotate would be enough - but integrating a new swivel mechanism into the body would increase the cost all on account of that one piece and the overall size would increase. That's why in the end we decided that overall it would be better to have two cameras. There was also a durability issue. We discussed how a swivel mechanism could break more easily, defeating the whole purpose. Simply adopting a camera swivel mechanism such as in cell phones wouldn't satisfy Nintendo's quality standards. How did you decide on the pixel count? It is generally thought that the higher the pixel count the better, but that isn't necessarily the case when your key objective is to give a games console "eyes". With a higher pixel count, the physical size of the camera increases, as does the amount of data it must be able to handle, substantially increasing the processing load. For a digital camera, where you're mainly interested in just capturing an image, simply putting in the requisite circuitry for the number of pixels is enough, but we were expecting to use this for a variety of applications, so we decided on a 0.3-megapixel camera. Makers of digital cameras and cell phones have been competing with each other in recent years, resulting in ever higher pixel counts, so some people may think that 0.3 megapixels isn't much for this day in age, but that's 640 x 480. In other words, you can capture images at a resolution 2.5 times that of the length and width of the DS screen. With the Nintendo DSi you can enlarge part of a picture you've taken and there's no sense that the resolution isn't high enough. Another problem with higher pixel count is that the memory needed to save each picture increases considerably. When I use a digital camera with a high pixel count, it takes so much space to store each image that I find myself lowering the resolution when I save. We gave thought to what would be the right size for viewing photos rapidly one after the next on the DS screen. I guess you could say that we've lived up to Nintendo's tradition for using tried-and-tested technology. Besides the camera, what were the other hardware changes? We adapted it for SD memory cards. To be honest, there was a time during planning when we weren't sure how much that would enhance the possibilities of play, but in the end we were glad we had done it. What I remember most with regard to the SD cards is how forcefully Shigeru Miyamoto pushed for them. And - I'll bring this up again later - he added the audio features with impeccable timing (laughs), and the end result still managed to be an amazing product. 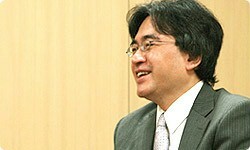 It's just like Miyamoto-san to carry through on his word. It sure is. Personally, I don't mind the frantic nature of times like those. We tossed around a lot of opinions and did everything we could. I really like the audio features of the final product. A lot of those opinions came from the in-house software development producers when you showed them the hardware during the planning stage. There were several opportunities for that. Did you feel any pressure because of the opinions of the software developers? No, not really. I'd received so many positive opinions and suggestions, that I felt encouraged by them. So you didn't feel smothered, but rather energized, by the input you received. I didn't feel smothered at all. It was really a big help, and I thought that I would like to gather opinions from lots of people in future projects as well. We didn't have advance sharing to that extent during development of the Nintendo DS and Game Boy Advance, and it was more like the hardware team would show the plans to the software developers and say, "This is what we did" and, then, software development began in line with those plans. This may be the first time in Nintendo's history that we've heard the software team's thoughts during the earliest stages of developing a game console and reflected them in the specifications.